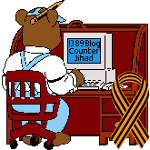 Wikileaks: Soros, US government funding for “Otpor”/CANVAS activists who overthrew Slobodan Milosevic — 1389 Blog - Counterjihad! The Wikileaks site has posted internal I-mail correspondence of the employees in the American organization for geopolitical analysis ‘Stratfor’, call in media ‘CIA in shadow’. 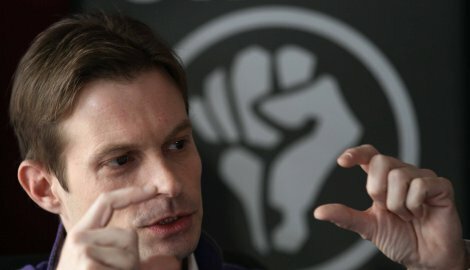 One of the individuals mentioned in these mails is Srdja Popovic, at that time a prominent member of the ‘Resistance’ and today the Executive Director of the Center for Applied Non-violent Action and Strategies (CANVAS), which is claimed to be involved worldwide in ousting regimes of dictators and autocrats not liked by the USA. In the mails written between 2007 and 2010, the activists of the CANVAS are being described as former members of the ‘Resistance’, ‘kids’ who after having ousted Milosevic, put on suits and founded the CANVAS. ‘That is an impressive group. They go, set up an ‘action’ in a country and are trying to oust its regime. When used appropriately, they are stronger than a combat group of plane carrier’, there is written about the CANVAS in one of the ‘Stratfor’ mails posted on the Wikileaks site on November 25. In one of the mails, the key people at the ‘Stratfor’ are debating about sources of financing of the CANVAS and they conclude that ‘this organization is getting a lot of American money’. ‘I do not have details, but I spoke to some people lobbying for them to get even more money such as Mick McFaul of the Hoover Institute (today American Ambassador in Russia), one mail reads. It is further specified that the ‘Resistance’ was financed, among others, by the Freedom House, the International Republican Institute, the Institute for Open Society [an infamous George Soros front organization], the USAID and the American Institute for Peace. ‘Since the CANVAS consists basically of the same people as those of the Resistance, I am sure that the same Dollars avenues have been opened to them’, the mail concludes. What did ‘Stratfor’, i.e. the ‘Shadow CIA’ want from former members of the Serbian ‘Resistance’ today in the CANVAS? It wanted two things – information and contacts in the filed since the activists of the CANVAS were appearing as promoters of non-violent resistance at many places of crisis worldwide. One of the Stratfor analysts says in a mail that he has known the members of the CANVAS since 2007 and that they have been sending to him information about Venezuela, Georgia and Serbia. Srdja Popovic, former prominent member of the ‘Resistance’ and today Executive Director of the CANVAS says for Blic that ‘some of the information posted on the Wikileaks are true, but most of the written has been exaggerated’. He says that the CANVAS is educating activists worldwide about non-violent struggle against dictatorship and that it held a presentation at the Stratfor in Austin, the USA four years ago, the same it is giving at the Faculty of Political Sciences in Belgrade. ‘We are working with activists regardless if they are for or against the USA. We have become globally known after our work with the Egyptians. Hosni Mubarak was not the USA opponent, but perhaps one of its biggest allies. We are not taking money either from the American Government, or the Serbian Government, or any other government because in doing so we would lose our independence’. Popovic points out. The CANVAS founder says it is true that he is making analyses for various institutions and media, but ‘when the Wikileaks packs it up, it looks like science and espionage’. ‘All my analyses are public and can be seen on the CANVAS site. Everything that has been posted on the Wikileaks site until so far, has been posted on the sites of the ‘New York Times’, ‘Foreign Policy’, ‘Financial Times’ and the CANVAS. Hang Soros and all the NGOs that are fronts for US interests.